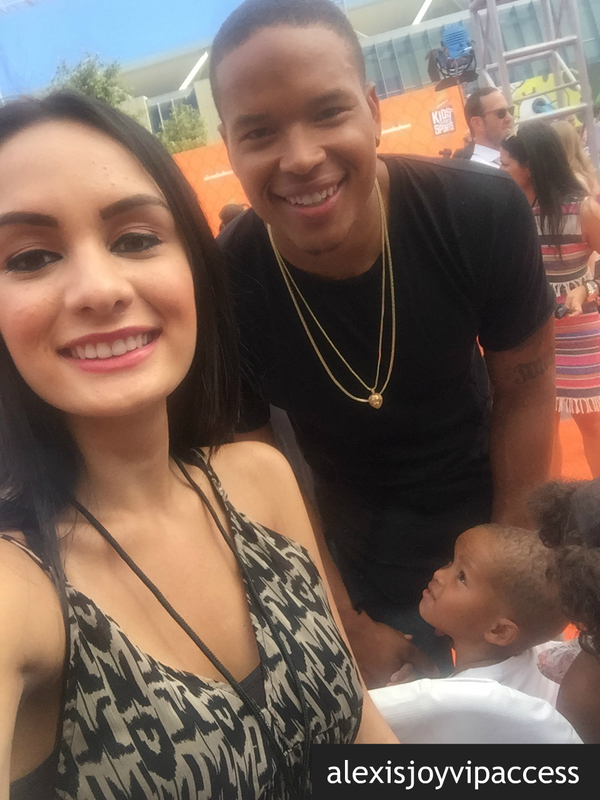 VIPAccessEXCLUSIVE: Detroit Lions’ Marvin Jones Jr Updated Interview With Alexisjoyvipaccess At The 2016 Nickelodeon Kids’ Choice Sports! There are so many exceptional athletes that inspire us, and one of them is definitely the extraordinary Marvin Jones Jr! With his incredible and awe-inspiring accomplishments and records in his football career, plus the way that he swiftly moves across the football field to help his team reach their victory, Marvin Jones Jr is certainly a spectacular athlete and someone that all aspiring professional athletes look up to. Playing any sport takes a lot of dedication, focus and hard work, and with his mesmerizing skills and talent, the remarkable Marvin Jones Jr takes on any football game in such a magnificent way and he continues to achieve more and more within his amazing football career! I, Alexisjoyvipaccess had the greatest honor of covering and attending the 2016 Nickelodeon Kids’ Choice Sports again, celebrating everyone’s favorite iconic sports stars and sports moments; and I had the honor of catching up with and interviewing the phenomenal Marvin Jones Jr again at the event. Marvin Jones Jr. dished exclusively to Alexisjoyvipaccess all about what advice he would give to fans who would like to follow their dreams and become a professional athlete, who he would’ve like to see slimed at the Nickelodeon Kids’ Choice Sports, and so much more only in our VIPAccessEXCLUSIVE updated interview. Marvin Jones Jr even sent out one excellent message to all of his fans – hear what he had to say in our VIPAccessEXCLUSIVE updated interview below. Thanks for the wonderful interview, Marvin Jones Jr! Check out my updated VIPAccessEXCLUSIVE interview with the outstanding Marvin Jones Jr at the 2016 Nickelodeon Kids’ Choice Sports below! Previous Article: Watch First Lady Michelle Obama In An All New Episode Of “All In With Cam Newton” Airing 7/29! Next VIPAccessEXCLUSIVE: Jaheem Toombs Updated Interview With Alexisjoyvipaccess At The 2016 Nickelodeon Kids’ Choice Sports!